There are many myths about supplements going around, but whether you buy into them or not is entirely up to you. You could always base your opinions and choices on science, that often helps. Everything is bad if you use too much of it, and supplements can be a great thing, so long as you are using them in recommended doses. There are bad side effects, naturally, but only if overused, or used inappropriately. Every supplement has its own way and time of ingestion and it is very important to respect that in order to have positive results. The more you take, the better. This is very common mistake, and unguided new users often start with large doses hoping for faster results. This is completely ineffective, you won’t gain any results faster, and some vitamins contained in supplements can even be toxic for your body if ingested in very high doses. Not to mention that excessive use of supplements is always a bad thing, such as in this case. Why should I use proteins, when I can get every nutrient I need from a balanced diet. This is a sensible train of thought, but it is not entirely true. The body has only so much capacity to benefit from the food it takes in. There’s also the other problem – food is just not what it used to be. Organic, homegrown food will always be healthier than mass produced food, but organic food is expensive, hard to find, and there is simply not enough of it to maintain an entire diet. I don’t want to train that hard, so I will take supplements and the supplements will do the trick. I will lose weight and get fit solely through the use of supplements. No you won’t. You need to eat healthy. You need to exercise. Taking supplements and occasionaly working on your vanity muscles will get you nowhere in life, and you will drop a lot of money into this pointless state of mind. Supplements complement exercise, not the other way around. And without a healthy diet that matches your training needs, all is for naught. There is a general belief among women that if they drink protein shakes, they will get bulky and big, even masculine. This is not the truth, although getting bulky is not the worst thing that could happen to you as you grow older. But nonetheless, take protein as recommended, exercise as recommended, and you will gain a beautiful, healthy, athletic body, but you won’t get bulky. Women’s bodies are built differently from men, and they do not gain muscle in the same way, or the same areas.Men will get bigger, due to high quantities of testosterone contained in their bodies, women will get desired results- increased lean muscle mass. You will get tight, but not bulky and masculine. These two proteins are found in nature, specifically in milk. The trouble is that they can be very helpful when working out to some result, but not in the quantities they are found in naturally. When ingested in shakes, it’s a whole other matter. Whey is digested very quickly and it is the best to use it 30 minutes before and 30 minutes after your training. It will increase blood flow in your muscles, so that they can receive more oxygen and nutrients during your workout – and how is a healthier blood flow not a good thing? Casein on the other hand digests very slowly and it is the best taken before bedtime. There are a lot of supplements on the market, each with its own purpose, and each prescribed with the best way to use it. 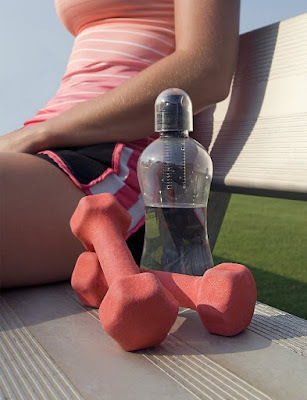 If you are an active woman, a regular gym-goer, or if you actively participate in sports in your free time, you may find that you can pull off much heavier workouts with the help of a protein shake. You may find that extra boost of energy you didn’t even know you had in you. Set your goals and adjust your supplement intake with your diet. Stick to prescribed dosage and break that sweat!